with physical damage are hardly inevitable. 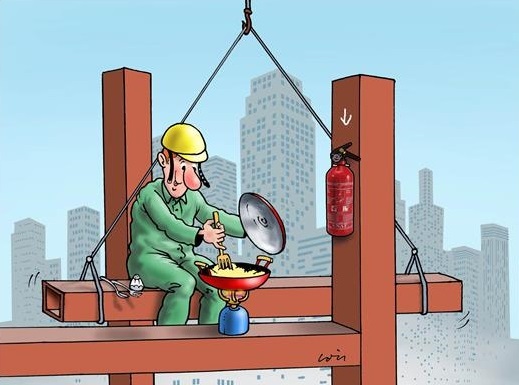 What if safety regulations are practised inadequately? Manuals are not observed? materials which are used, the product, the construction, the project in general? • Adult category: 16 years and older. Both professional and non-professional cartoonists are allowed to participate in this contest. with the theme ‘Right to decent work’ a special prize. More information about the main theme is to be found in annex to this regulation. • Dimensions including any passe-partout 21 x 30 cm (A4). • Number of entries per contestant: maximum five for each theme. • You have to record your contact details through www.olensekartoenale.be. • You can sign up your participation from 1 July 2018.
selected may be used by the organizers to promote the contest and the village of Olen. welcome on that occasion. Only the winners are personally invited.